Boland Cellar on the slopes of the Paarl Mountain, draws its grapes from a wide range of geographical, geological and meteorological micro climates. A wide range of altitudes, aspects, soil types and weather conditions. A team of producers, viticulturists and oenologists who have one aim – quality wine. Since 1939 when a group of some 40 farmers got together and formed the winery, Boland has got to know its vineyards, generations of growers have farmed them and the wines have simply grown in stature and quality. For the Reserve No 1 wines specific vineyards are used for the wines. 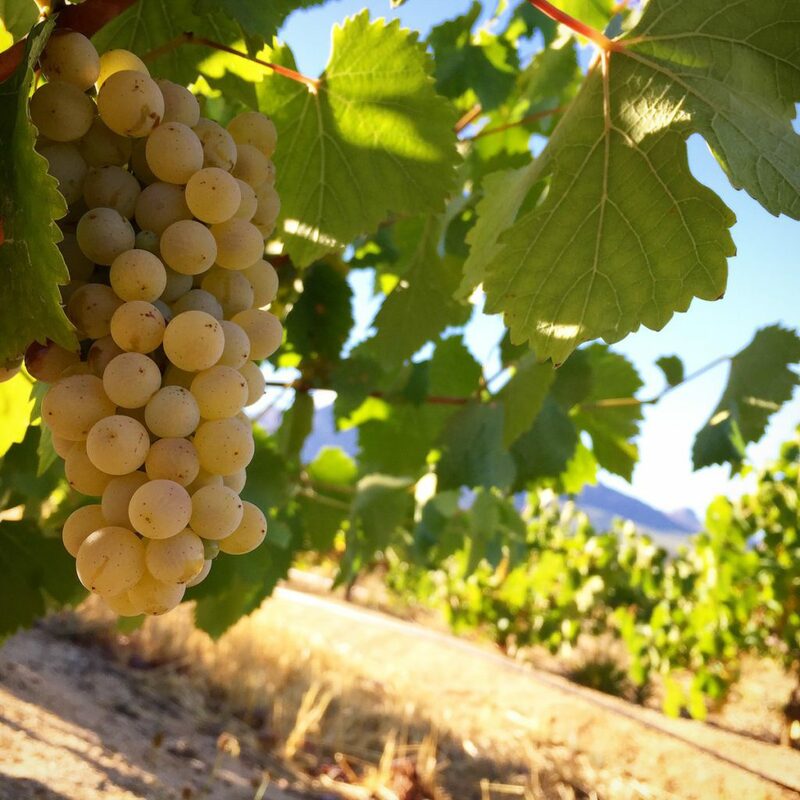 Grapes for the Boland Cellar Reserve No 1 Chenin Blanc 2015 come from a winning block on the Geldenhuys Family farm which was planted in 2002. Cooled by ocean breezes which ameliorate the summer heat and allow the vines to rest at night, slow down the ripening which allows for greater flavour in the wine. Packed in a Burgundy shaped bottle with brand new livery befitting a regal wine like this. In the glass, it is a pale golden straw in colour with lime green flashes. Being unwooded, the aromas are pure classical Chenin Blanc fruit. Tropical guavas, sweet limes and fynbos honey. Pure pleasure from entry. Beautiful bold fruit in a full creamy mid palate from lying on the lees. Long gently waning after flavours. This is a sipping wine rather than a quaffer. For me Chenin Blanc works so well with a wide variety of foods. Pork Belly with crispy crackling, Oriental foods, though chicken is always my first ‘go to’ place. 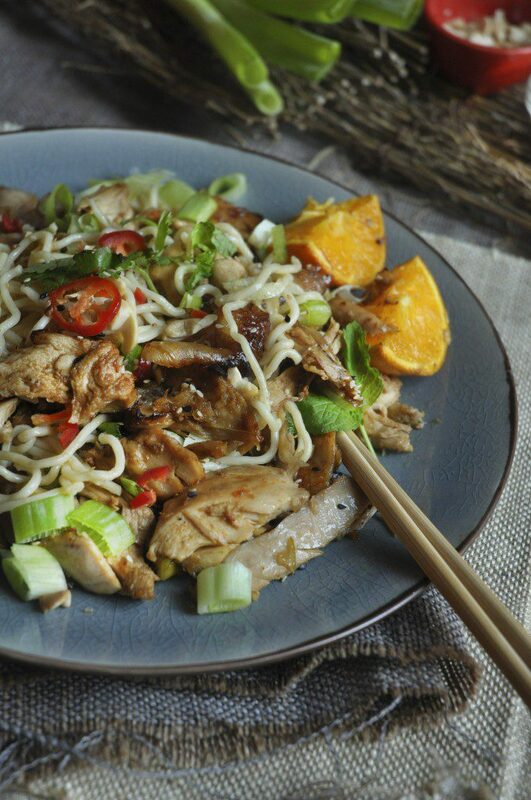 Nina Timm on her My Easy Cooking website offers a delicious Oriental Chicken Noodle Salad, perfect with this wine. 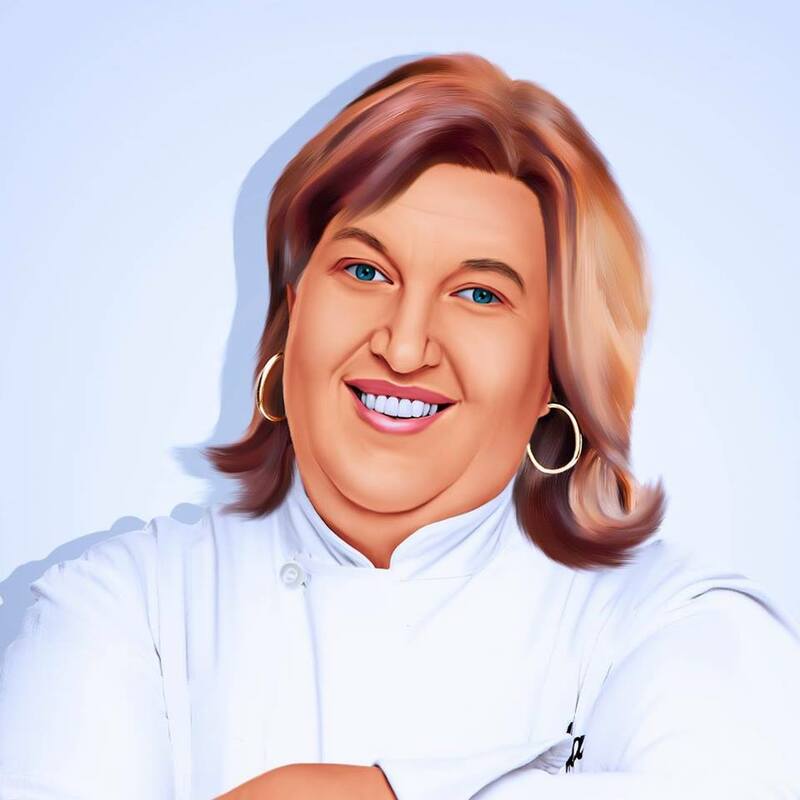 Click here for her recipe.